Pope Francis declared Kuriakose Elias Chavara, the founder of CMI (Carmelites of Mary Immaculate) and co-founder of CMC (Congregation of Mother of Carmel) a saint on November 23, 2014. Kuriakose Elias Chavara was a visionary Carmelite priest whose creative and path breaking initiatives, played a pivotal role in initiating a spiritual and social revolution in Kerala, the southern state of India. Witnessed by 5000 strong crowd of St. Thomas Christians from Kerala, who flocked Vatican Square on the day of canonization, Pope Francis declared that, "they [Kuriakose Elias Chavara and Euphrasia] responded with extraordinary creativity to the commandment of love of od and neighbour...their preference for the smallest and poorest was the reflection and measure of their unconditional love of God." Kuriakose Elias Chavara was born at Kainakary, Kerala in 1805 and was ordained a priest in 1829. It was in 1831 that he found the first religious Congregation for men in India, Carmelites of Mary Immaculate. 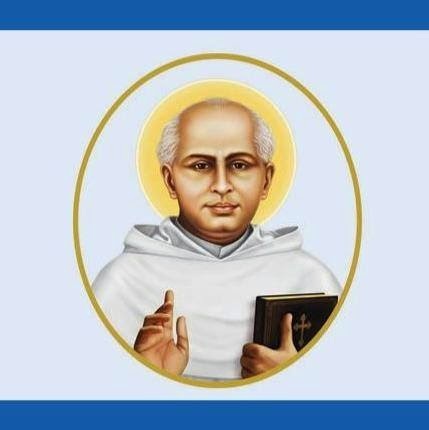 He dared to think beyond his times and emphasized the need for education, the publication and reading of books, organising the liturgical texts, initiating spiritual exercises, the necessity to preach homilies and retreats, the quest to bring down the caste barriers and above all to lead people to God. He was rightly called by his cotemporaries as 'man of God.' He bid adieu to his illustrious earthly life in Jan 3, 1871 at Koonammavu, his mortal remains where later entombed at Mannanam. He was declared venerable in 1984. Pope John Paul II declared Kuriakose Elias Chavara and Alphonsa Muttathupadath blessed in 1986 at Kottayam Kerala. Vatican approved the miracle cure of squint eye of Maria Rose Kottarathil with the exclusive intercession of Kuriakose Elias Chavara. It was this miracle which cleared the final hurdle for canonization. To declared him blessed in 1986, Rome had earlier approved the miracle which helped Mr. Joseph Mathew Pennaparambil to overcome his congenial deformity of the legs which took place in April, 1960. The joy, happiness and gratitude of Catholic Church in India, was in full display at the National Thanks Giving day celebration at Rajagiri Valley, Kochi, Kerala. A whopping 60,000 catholics attended the Holy Qurbana presided over by Major Arch Bishop Mar George Alencherry and the public gathering. Prominent attendees include Rt. Rev. Salvatore Penachhio, Apostolic Nuncio, Moran Mor Baselios Cardinal Cleemis Catholicos, the head of Malankara Church, Mr. Oommen Chandy, the Chief Minister of Kerala. The thanks giving day celebration was well attended by Bishops, Priests and prominent figures from political and social arena. It is the second time in less than two months that I write about the Blessed Kuriackos Elias Chavara, who will be declared a Saint, on November 23. He is one of the greatest social reformers of Kerala, whose contributions have, unfortunately, gone unrecognised for reasons like his own aversion to self-glorification and publicity. Though I first read about Fr Chavara only when Pope John Paul II visited Kottayam on February 8, 1986, and declared him “Blessed”, I never missed an opportunity to read about him. For one reason or another, I always compared the priest from Kerala to William Carey, his contemporary, whose contributions have also gone unrecognised. Last week when opportunity came my way to address the Kerala Club on the social, cultural and literary contributions of Fr Chavara, I took up the challenge. My recent visits to Kainakari, where he was born on February 10, 1805, and to Mannanam, his karmabhoomi, provided me the perspective required for the task. I also read his biography in English written by K.C. Chacko and published in 1986, Chavara Achen: Oru Rekha Chithram (A Book of Documentation) and several booklets on various aspects of his life. The book that I liked the most was Sukrutham Smara, edited by my acquaintance Prof Thomas Mathew. It is an anthology of articles on Fr Chavara. Among the contributors are Dr Sukumar Azhikkode, Prof M.K. Sanu, Prof A. Sreedhara Menon, P. Govinda Pillai, Dr M. Leelavathi, C.P. Sridhar and Prof Mathew Ulakamthara. I found Pillai’s article the most enlightening. He was a Marxist but when it came to praising Fr Chavara’s contributions, he did not show any stinginess. I found it a mere coincidence that the day before I visited Mannanam, the late Marxist theoretician’s son, M.G. Radhakrishnan, a senior journalist with the India Today group, had visited the place to do a feature on the canonisation process. All this strengthened me to address the Club on Friday last. One of my resolves was to raise some pertinent questions and answer them to the satisfaction of my audience. Though the power point presentation did not go the way I desired it to go, I thought I would raise those questions here and give the answers. 1. Why is Fr Chavara remembered 143 years after his death on January 3, 1871? He is remembered for his various contributions to the religious and socio-cultural development of Kerala. He was endowed with exceptional creative and leadership qualities. 2. Why is Fr Chavara considered an educationist? In the first half of the 19th century, admission to even government schools was denied to children from Dalit and other socially and economically backward communities. Fr Chavara set up schools where admission to students, irrespective of caste, creed and status, was guaranteed. 3. What did he do to promote girls’ education? Fr Chavara realised that if a girl was educated, a whole family would be educated. He provided educational facilities to girls. 4. Was Fr Chavara the first to introduce mid-day meals in schools? It was in the first decade of the 21st century that on the orders of the Supreme Court, the government introduced a mid-day meal scheme in government schools. One and a half century before this, Fr Chavara provided food to students from poor families because he believed that good food was a must for the intellectual and physical growth of children. 5. What else did Fr Chavara do for school children? He also supplied free books, slates and clothes to needy children. Sir C.P. Ramaswamy Iyer, as Diwan of Travancore, quoted such practices while preparing a note to the Maharaja on the need to universalise primary education. 6. Was Fr Chavara the progenitor of the Pallikoodam movement? The Malayalam word for school is “pallikoodam”, which means a hut attached to the church. Though CMS missionaries had started several schools attached to their churches, Fr Chavara gave a new direction to the pallikoodam movement. As Vicar General, he issued a circular in which he made it mandatory for every church to have a school attached to it. In fact, he even threatened that no church without a school would be consecrated. Soon, hundreds of new schools sprouted in the state. 7. Was Fr Chavara the founder of the homes for the poor and the homeless? He set up India’s first home for the poor at Kainakari, which continues to this day. He gave a written instruction on how funds should be collected to run such homes, which were meant for the destitute. In his own life time, he set up several such homes. 8. Was he the first to start a Sanskrit school? Until Fr Chavara arrived on the scene, Sanskrit was more or less the preserve of some. He started a school where he employed a Brahmin from Trichur to teach Sanskrit. The students of his seminary were taught Sanskrit. He himself was a life-long student of Sanskrit. He knew the Hindu scriptures so well that he used them to develop his own theological writing. 9. Was Fr Chavara a secularist? He was a deeply religious person. As such, he was not secular as it is understood today. His aim was not to convert more and more people to Christianity or “Churchianity”. His aim was to take the message of Christ into the minds of more and more people. His plan was to set up his centre at Pullarikunnu in Mannanam. But when a section of the people protested that the hill to which the presiding deity of a local temple constantly gazed was inappropriate, he changed his plan and found another hill where a whole lot of establishments, including a college, are now situated. 10. How did Fr Chavara build so many institutions? He built several institutions at several places in his life time. He collected money from ordinary people. He was able to instil confidence among the people. They contributed liberally to him and they included Hindus and Muslims too. He also paid the highest wages to his workers. 11. Was Fr Chavara an architect? He did not study architecture but he built Kerala’s first double-storied building at Mannanam. Again, his seminary at Mannanam was Kerala’s biggest building at that time. 12. Was Fr Chavara the father of Malayalam journalism? The fist two printing presses in Kerala were at Kottayam and Thiruvananthapuram. The former belonged to the CMS missionaries while the latter belonged to the government. He wanted to start his own printing press but the authorities of the Kottayam press did not allow him to even see the press. He managed to see the government press with the help of a Catholic employee there. It is said that Fr Chavara saw the press, copied it in his mind and made a model using a banana stem. Then, with the help of a carpenter, he built a wooden press. He had to pay Rs 6000, a princely sum those days, to import paper and ink required for printing. It was on this press that the first issue of Nasrani Deepika was printed. And it was from this paper that the present-day Malayalam daily Deepika descended. 13. How was Fr Chavara different from reformers like Abraham Malpan and Martin Luther? Unlike the two who left their mother churches to form their own churches, Fr Chavara reformed the Catholic Church by maintaining steadfast loyalty to the Pope. In this respect, he was like Ignatius Loyola (1491-1556). 14. What are his contributions to the church? When a schism happened in the church in Kerala, he took a bold stand against a foreign usurper but for which most of the Catholic churches in Kerala would have gone out of control of the Vatican. He also brought hundreds of churches back to the Catholic fold. He set up the first seminary for the whole Catholic church in what is now Kerala. He also started two congregations for priests and nuns, which today have establishments all over the world. They are the first of their kind in India. He brought about ecumenism in the church. 15. Was Fr Chavara the first playwright? Yes, he was. The first Indian drama is Neeldarpan, written in Bengali by Deenbandhu Mishra on the miseries of the indigo cultivators. It was published in 1860. The first Malayalam play is considered Abhinjana Shakuntalam, translated into Malayalam by Kerala Verma Valiakovil Thampuran in 1882. Decades before that, Fr Chavara had written as many as 10 eclogues or liturgical dramas. Unlike in the case of Abhinjana Shakuntalam, which was staged several decades later, the eclogues were staged by the students of Fr Chavara’s seminary. So, he can be considered the father of Malayalam drama. 16. Why are Fr Chavara’s teachings famous? His teachings are based on practical knowledge. He advised people against entering into marital relations with people who are irreligious. He had the foresight to warn parents against sending their children to relatives’ homes for stay. He said the parents should ensure that they did not return with unclean mind and body. 17. Was Fr Chavara’s Anasthasyayude Raktasakshithvam (The Martyrdom of Anasthasya) the first khandakavyam (a short poetic work) in Malayalam? The first complete short poem in Malayalam was considered to be A.R. Rajaraja Varma’s Malayavilasam, written in 1895. Fr Chavara’s Anasthasya’s Martyrdom appeared three decades before in 1862. I have read parts of the poem and they are exceptionally good. The language is simple and lyrical. True, I am not competent to judge the poem but those who have read it like Sooranattu Kunjan Pillai, Sachidanandan, Guru Nityachaitanyati and Dr P.V. Velayudhan Pillai are ready to concede the point that the work is comparable to Kumaran Asan’s Karuna, Vallathol’s Magdalana Mariam and Ulloor’s Pingala. Let me make bold to say that he was the father of Malayalam short poems. 18. Was Fr Chavara a single-book wonder? No, he wrote several books, both in prose and poetry. His longest poetical work is Atmanutapam which, too, I found very appealing. He is one of the first major prose writers of Malayalam. It can be inferred from his writing that he tried to liberate Malayalam from the excessive influence of Sanskrit. He also ensured that the books reached the masses. 19. Was Fr Chavara a multi-linguist? Yes, he knew Malayalam, Tamil, Sanskrit and Latin. Towards the end of his life, he also learnt Portuguese. One regret he had was that he could not learn Spanish, the language in which Saint Teresa of Avila communicated with God. 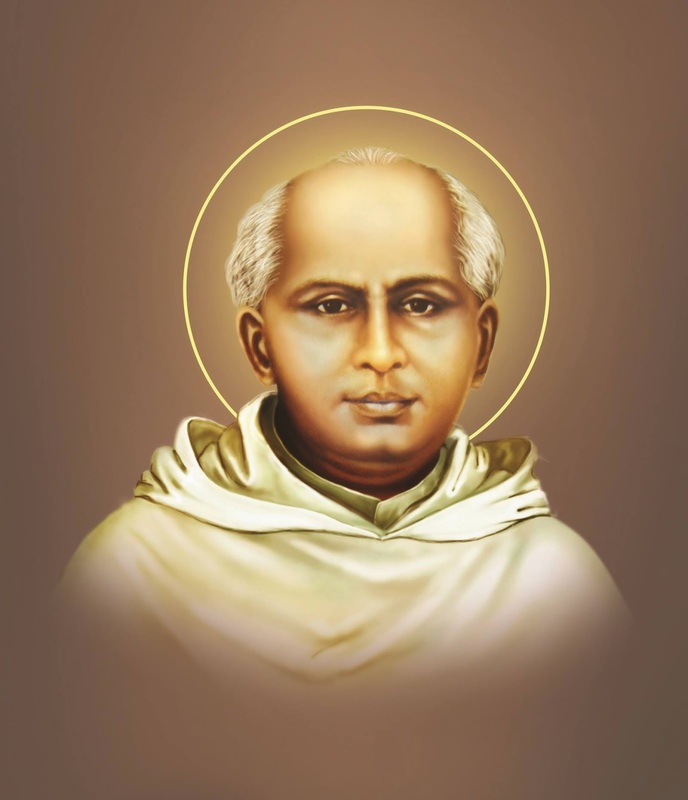 20. Who was the first Indian to be beatified? Fr Chavara was the first to be beatified. Yet, he was overtaken by Saint Alphonsa, who had given a moving account of how Fr Chavara intervened in her life and saved her from the rigours of an illness. He was the first priest in whose honour the Indian Postal Department released a stamp. It was President R.Venkataraman who released the stamp and the first-day cover in 1987. 21. What is Prior mango? It is a variety of mango which Fr Chavara popularised. It is now named after the priest who was endearingly called “Prior”. Incidentally, William Carey had a species of tree named after him. All this makes Fr Chavara a unique personality. Yet, he has not received the recognition and attention his memory deserves. I am glad that more and more people will come forward to recognise him as a cultural leader of Kerala. Prof Omchery NN Pillai has declared that his picture will be unveiled at Kerala Club. The Kerala Sahitya Akademi has his portrait at its Thrisoor office. My wife and I had the unique honour of holding in our hands two sacred remains of Fr Chavara, a small casket containing a piece of his hair and a piece of lead on which his name was written when his body was interred. I am really glad that I got a forum like the Kerala Club to pay tribute to one of India’s greatest reformers who should be ranked along with Rajaram Mohun Roy, Sri Narayana Guru, Ayyankali and Jyotirao Phule.